SQ (Sound Quartet) explores music inaccessible to contemplative composition. Devoting many hours to develop skills which circumvent learning and amplify responses to the moment. Each piece is a sortie into uncertainty along paths never followed before, with assiduous unpremeditation and susceptibility of mind and body as our guides. States far from equilibrium can branch on barely perceptible quantum quivers to sublime and unexpected trajectories, even a false step can open a new passage if grasped as a sign. We hope the listeners will come along and find the journeys rewarding. Live visuals will be provided by Viktor Zeidner of Deadpixel. KnowUsByOurVelocity (KUBOV) is a duo of violin and electronics. Incorporating minimalist textures and lush sustains as well as harrowing dissonance and distortion, their music ranges from the esoterically tingly to downright disturbing. Their eclectic sonorities are a result of the hybridisation of electronics and acoustic instrument, with which they explore and combine spaces and places, warping perspective and effecting a sonic escapism. Both in their final year of phD at the University of Edinburgh, Jess and Emma have been working together since 2011. 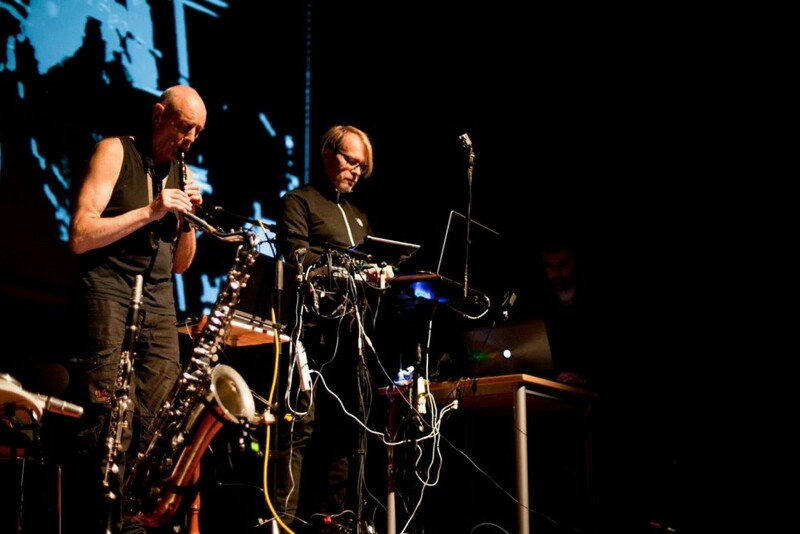 The duo originated as a collaborative endeavour between composer and performer, and has developed over the years through a compulsion to break away from the traditional boundaries of the discrete roles and to research the potential of this instrumental and creative composite through performance. Sound artist and improviser, Kelly Jayne Jones works with sonic textures from her sound archive that is constantly evolving. Inspiration is taken from the recording of concrete sounds, building up compositional balance / unbalance, harmony / disharmony and experimenting with the combinations of sounds. She has performed at Colour Out of Space, Tusk, Cafe Oto, Supersonic, ICA London and has exhibited work in various projects at Tate Modern, Museum of Modern Art NY, dOCUMENTA 13. KJJ has released limited edition vinyl and cassette. Unsound connections: Arrays of mixing equipment interconnected as to produce sounds that most live engineers would find erroneous. Whilst the machines are allowed to happily hum their faults away, interventions by voice and gesture are employed to tame and mould the cacophonous output into a coherent yet indeterminate sonic result. Trianglecuts is an english/french solo artist who uses loop station with synth, vocal loops and keys to create haunting songs and sounds. She also explores video art with movement.